Gerard Cunningham is the author of two books, ‘Chaos & Conspiracy’, published in April 2009, and ‘Breaking the Silence’ (co-authored with Martin Ridge). He also worked as consultant editor on ‘Charades’, by Karen McGlinchey. [The scandal is] the country’s Guantanamo Bay — a pockmark on the state’s policing practice. Dozens of gardaí were criticised in the tribunal’s reports, most of who retired in shame. The human cost is more difficult to assess. Twelve innocent people were hauled into custody and questioned barbarically six weeks after Barron’s death, suspected of colluding in his murder. 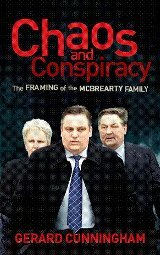 What is infuriating about the whole episode, which trumbled on for 12 years, is that most of the mistakes were made in the first week, as Gerard Cunningham outlines in his riveting new book, Chaos and Conspiracy. This is a brilliant piece of reporting. Readers will already know the bones of this case through newspaper, TV and radio reports. The book to hand, taken in two or three sittings, makes for a more dramatic read than the daily drip-feed of national newspapers. The question that this reader arrived at was how the gardaí hoped to get away with this behaviour. Did they see themselves as so unconnected with Garda HQ in Dublin that they believed they could act in such an unrestrained way? This story has almost been lost because it became the subject of the Morris Tribunal, which ran for six years. But Gerard Cunningham, who covered every day of evidence at the tribunal, has written a devastating new book which redresses the balance. And Chaos and Conspiracy is at its most powerful when it details the awful consequences of the wrongful arrests. 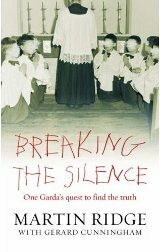 Click here to buy [Breaking the Silence].